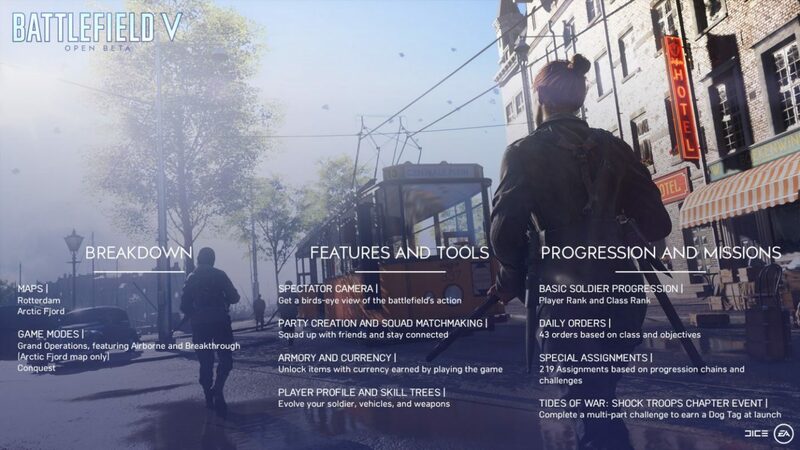 If you’re as excited for the upcoming Battlefield V beta like I am, chances are, you have a lot of questions. Whether it’s what time we can pre-load the beta client, what maps we’ll be able to play on, what weapons will be available and so on. 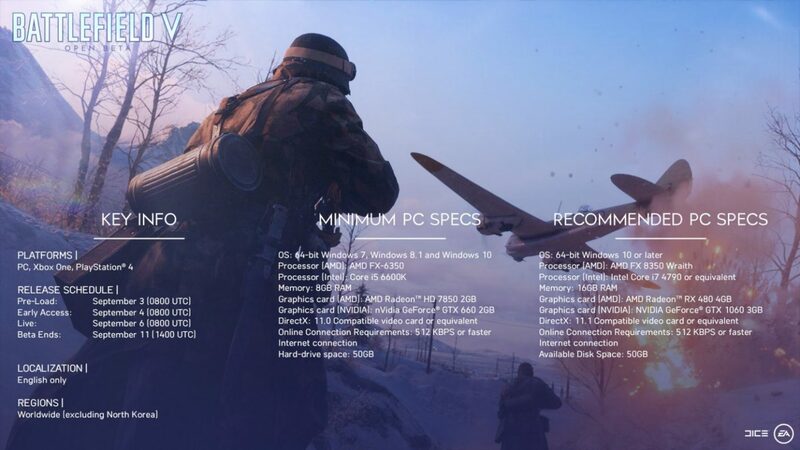 Well, thankfully, EA has thought of the same thing and has released a detailed Battlefield V info post that goes through everything — and I mean everything! First up, the important info regarding when we can pre-load it, play it and when it ends. We’ve compiled the important details which you can view in the screenshots below. 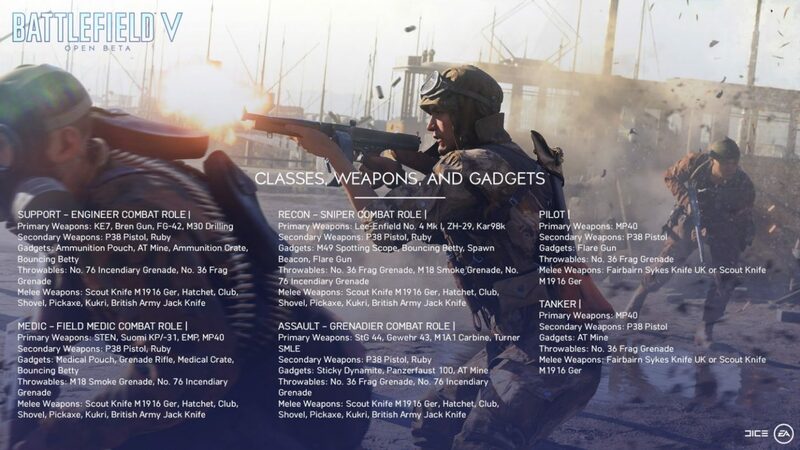 For detailed info regarding the maps, weapons, classes and more, I suggest heading over to the official post by EA. It’s the same info shown in the images, but with a bit more detailed. 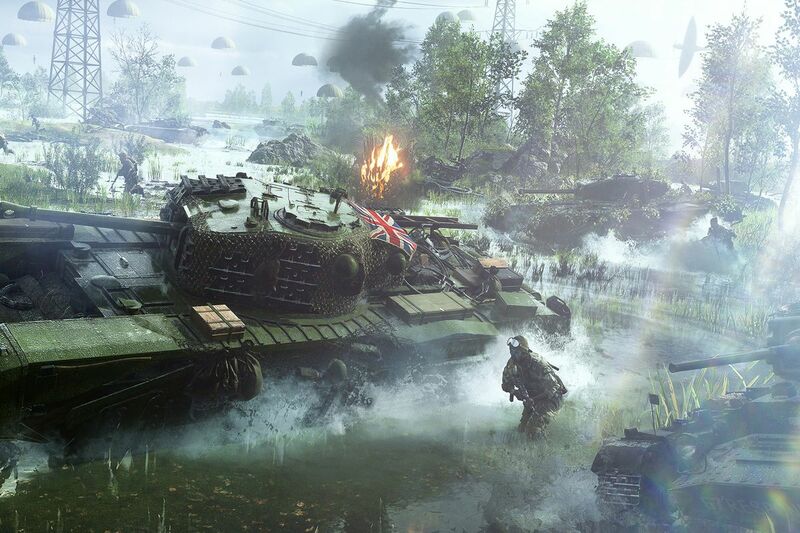 Don’t forget, EA has delayed Battlefield V by a month, so it’ll be out this November 20 instead of October. 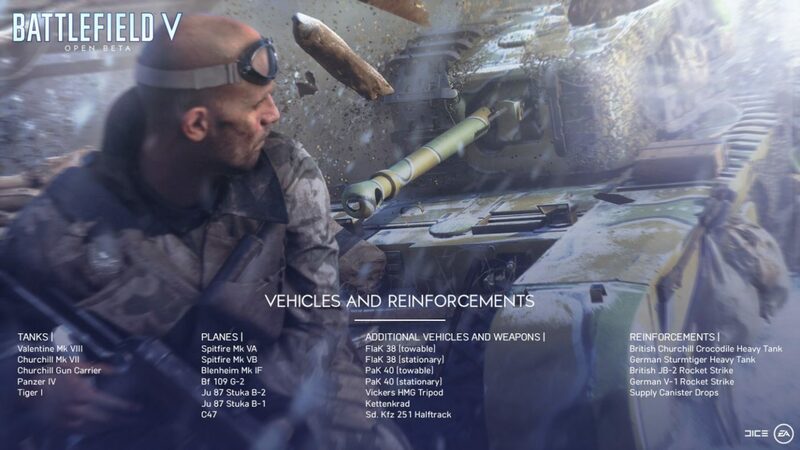 There’s also a rumor that cropped up that the publisher might make the battle royale component of BFV free, and even include a free copy of Battlefield: Bad Company 2 Remaster as part of the package if sales aren’t up to snuff.